Hip, hip, hooray! This episode marks the anniversary of my weekly podcast for Working Women’s Wealth. Wow! I am truly thankful for the lessons that I have learned and the amazing women that I have had the privilege of interviewing and meeting along the way. I reflect back on my own journey and the businesses that I have spent the last two years building from scratch. More importantly, I reflect on my decision to take a monumental leap of faith to walk away from a 7-figure salary. Gulp! So for my podcast’s birthday, I want to surprise YOU with a birthday gift! I want to invite you to join my ‘Side Hustle Movement’. I have created a free* online training course that will guide you through every step of starting your very own online business in just 30 days! Why leaving my corporate job was the biggest and most fearful decision I have ever made! Accept failure. It happens A LOT. My challenge for YOU – sign up for my online training course that will teach you how to start your first side hustle! *The training course costs $44. If you provide daily feedback of the course content, we will refund you ALL your money at the end of the course. No questions asked! Right click on the link here and click ‘save as’ to download this episode to your computer. Speaker 1: 00:00 Welcome to Working Women’s Wealth, where we discuss what it takes to build real wealth in a way normal humans can understand. Here’s your host, Lisa Linfield. Lisa Linfield: 00:09 Hello, everybody, and welcome to today’s episode of Working Women’s Wealth. It is an exceptionally important episode for me because today’s episode, 52, which means that I have been doing one podcast episode every single week for the last year. That for me is just the hugest milestone ever. It represents so much more than just one episode a week. It represents so many hurdles that I’ve gone through, so many fears I faced, and so much work and so many amazing human beings that I’ve interacted with. I can’t begin to tell you how grateful I am for this podcast. For what it’s taught me mostly about myself. Not just the actual physical learning that I have had from so many different people, but also the emotional learning that I’ve had in terms of the bridges I’ve crossed inside me. I’m also grateful for all the amazing guests that have taken their time to share their learnings and their journey with me and with you. If you’ve joined me on this journey over the last 52 weeks you would’ve learned quite a bit about me. You would’ve learned why I’m so passionate about Working Women’s Wealth, Southern Pride Wealth, and the other businesses that I’ve set up along the way, but you might’ve had to work quite hard to piece together my full story. Today I thought I would share with you a little look back as to why I left my seven figure job and why I’m enjoying this journey that I’m on so much. I guess if you really want to understand why I’ve done it you need to kind of step back a little in time and understand where I came from and what I’ve learned. You see, I grew up believing that I could do anything. It wasn’t because I was me and superhuman I had parents told me that all the time. It was because I had a family tree of people who did do amazing things, including the women who were actually believable given the times that they lived in, times when women should’ve been seen and not heard. They should’ve been raising children and not building property empires and doing amazing things like being the first lady mayor of Cape Town. I grew up with powerful stories of human beings in my line of family who did things, but also it wasn’t just past stories. It was the life I lived in the present tense, a life where my parents’ friends and some of the family members had actually made it to be CEOs of big global or very well-known brands. Those companies were known to many people, so they were the CEOs of companies with big brands. What struck me about them firstly was how normal they were. I guess that’s because my parents or family, we’d known them our whole lives. They were just normal human beings, like me and like you. However, everybody else behaved somewhat differently towards them. Either when they were there or in the way they talked about them and what they had achieved. The way I saw it as a small human being was that if you were CEO of a company then you were the king of the castle. Not necessarily the company’s castle, I guess where I started to become a person in corporate I learned that you were the CEO and that was a big castle that you were king of, but it was more about being the king of the social circle. You were the in person, the saint of the group, the one everyone invited to their dinner parties. Everyone wanted to be friends with you, but that definitely didn’t cross over if you owned a little baby single company. When I watched owner manager people, or even my dad who had his own little company, it didn’t seem that everyone knew about your company, so everyone didn’t put two and two together about how big you must be if you were CEO of this big company. Naturally I set my sights on being CEO of IBM. It was a huge company at the time when I was little, and one of the biggest actually in the world. I thought that, well, because I could do anything I wasn’t just going to be CEO of a South African big company. I was going to be CEO of a global big company. Then, everybody would want to invite me for dinner. As I look back, I realize that I’ve always felt like I was on the outside of every single group looking in. I was never the first picked for the kids team. You see, I was sporty, I was also academic, I did drama and acted in plays, and sang in the choir, and there were many, many, many things I did. I was never the super best at any one of them, but I did all of them. That [inaudible 00:05:50] in anywhere. I fitted everywhere. Now I see that as my superpower, but I never belonged on the inside. I wasn’t one of the sporty chicks and I wasn’t one of the academic girls, and I wasn’t the ultimate singer. I fitted everywhere, but I was never the it girl, the one everyone wanted to be with. That’s why I was going to be CEO, but then when I grew up everyone would want me to be in their circle. I’d always get picked first. Until my mid-30s my career was definitely on track. I was really blessed to work in the U.K. in Europe, to work in South Africa. My salary and my career were fast-tracked everywhere I went. I was so unbelievably blessed to have bosses who believed in me, who really backed me with great opportunities and great experiences. I did amazing things. Then, literally on a Wednesday, before the Friday when I was going to interview for a C-suite job that would really propel my career, the CEO of my business resigned. My job interview that Friday was canceled. At first, I had absolutely no idea that this would end up impacting my career. I think I was hugely naïve at the change of leadership and the impact that that has, but over time as his replacement came I worked [inaudible 00:07:26] despite being on a formal [inaudible 00:07:28] fast-tracked program it actually meant nothing. That gradual fall from the top of my career path lasted for about two years when it culminated in my job being given to someone else. I was in hospital for the second time in four months. I was pregnant with my twins, but I had a really tough pregnancy. I really struggled with every cell in my body to keep them alive. I got a call whilst I was in hospital which basically told me that they couldn’t have this huge big business that I ran being with no boss for the period of my maternity leave and the time that I was would need to stay in hospital, so they were giving my job to someone else. After maternity leave, I came back to no job. I didn’t have a desk because whilst I was on maternity leave they packed up my desk and all my stuff for five years of working in the company and had it delivered to my home because they needed the desk and the space and the secretary for the new boss. I had nothing. I came back literally to nowhere [inaudible 00:08:41]. I guess if I tried to tell myself otherwise, that actually I was okay, it was absolutely clear that not only was I not in the inner circle, I also was actually actively not wanted. I then came back and went through eight months where they tried to find me a job. I was put through all these [inaudible 00:09:03] those things. I really kind of through that period of time lost all confidence. I’d been told my whole life how valuable I was to a company, and now there was absolutely no one moving heaven and high water, or anything, to try and get me a job. Eventually, they did, and I got a job, but over that period of time I lost the one thing I had never truly valued, and that was hope. Even with no self esteem, if you at least have hope for something better there’s a little light that you can move towards. For me, it was dark. The contrast of the amazing love and light of my baby twins who by now were a year old was so [inaudible 00:09:50] against reaching rock bottom in my career. I wish I could say that it was at that point when I was at rock bottom that the thunderbolts and lightning went off and suddenly I had an epiphany, and the world became a bright and beautiful place, but it wasn’t. There were no thunderbolts, no lightning. It truly was a really slow fighting back of this warrior deep inside of me. It wasn’t me, it was her. She lifted her head, she summoned the strength to work hard to prove she was capable. Each day she put one foot in front of the other. It took five years, a new company, and another restructure six months into my new job for me to actually take the first step on the journey I am now. It wasn’t any clear plan that I had up front. No thunderbolts, no lightning. Just one step after the next. 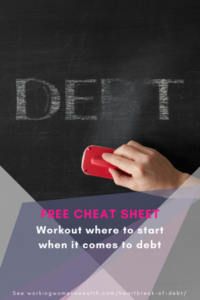 As I took each step it was like a new level of the plan would unfold, until it became really clear to me that what I wanted to do with every breath in my body was to help teach people about money. From that point it was easier to plan. I went back to university as a 40 year old with twin three year olds and got my honors degree. The thing I need to tell you is that there was no lightning bolt. Hindsight the path seems very clear, but the journey was never, never that straight. Mostly because one of the things I worked out was I stood in the way of myself. The reason for that is partly because I’d been so fixated on becoming the CEO of a global corporation. As I look back now, the hardest part of this journey has been rebuilding me, Lisa Linfield. The reason why is that I’d always grown up as an overachiever, and I learned the rules of the game really early on at school. If I did well everyone would tell me how wonderful I was. Those rules continued to hold in corporate. You do well, everyone tells you how wonderful you are. If I look back, I’d rate myself a nine out of 10 for self confidence at the time that that C-suite job was about to materialize, but I’d rate myself a [inaudible 00:12:23] 10 when I returned back to work and had no job after my twins were born. You see, that’s the challenge about this confidence that one has when you’re looking externally for people to validate you. It’s a shaky confidence. It’s built on their feedback. When that disappears, the whole inside of you, all of your confidence, crumbles. So long as you know how to produce the well dones, you’re okay, but when those well dones disappear you’re terribly insecure. Then, I started on my own with my own business. I had no colleagues and no boss to tell me how wonderful I was. The fear deep inside of me was huge, a fear of failure like I had never felt before. As I took the steps to act, despite the fear, and released my podcast, I had dream after dream every single night that I was in a crowd naked and everyone was looking at me. When you blog and you podcast, and especially when you do it about money, you put all these episodes and things out there and you hear nothing. Why? Because if you comment on a podcast about debt then what you’re doing is telling the whole world that you yourself are in debt, and that’s a real challenge because people do not talk about money. It’s been proven that you’re more likely to choose having a picture of you naked on the social media than you are having your finances displayed for all to see. Maybe that’s where my huge fear of failure was so helpful, that having declared that I would be independently from corporate and start my podcast somehow not making it work. Somehow not making it work, admitting failure ironically kept me going through all those moments I wanted to give up. This time just one year ago in my wealth management business had two clients and [inaudible 00:15:10] investments that I managed. Today, I have over 40 clients and 65 [inaudible 00:15:17] investments that I manage, and growing every single day. My podcast has been listened to over 7,000 times and in 48 different countries. This time a year ago I had just done my first interview. After that interview I was so nervous and had so much adrenaline that I kept asking myself if it would be okay to have a G&T at 10:00 in the morning. Neither of those two, and the many other achievements that have happened over the last year, have come anywhere close to how proud I am of the journey that I’ve personally made for me as a human being. I guess it’s hard to explain, but if I was a nine out of 10 for confidence that came from external applause I think I was a zero out of 10 for confidence that came from deep within me. I don’t even think I realized that. Over the year, as I’ve gone from expert corporate person to absolute novice entrepreneur, I faced one new fear frontier after the next, but each time I faced those fears the confidence in me grew a little more. My need for others to say well done has got a little less. What’s most important is that I feel most comfortable in my own skin, more than I ever have. I still can’t say that I’m comfortable there, but I’m on a journey, and I know I’m on the right track. That day when I feel comfortable in my own skin, that I feel comfortable with me and who I am really will be the day that I feel that I have achieved the greatest achievement of my life. For me, winning is helping someone have that aha moment when they feel there’s a solution to their current problem. It’s trying something in my online business and seeing if it works, and if it doesn’t learning how to change it and tweak it. It’s serving the people that I have chosen to serve, the people I have chosen to spend my time with, my clients, my audience, and the people God sends me on my journey. What I’ve learned most is that this journey is never a straight line. For all the amazing women I’ve interviewed there are a couple of themes that have stuck out. The first thing is that what they’re doing now and where they started are worlds apart. The amount of times they failed are huge. Their fears that they’ve had to overcome are enormous, yet they had the courage to act despite that fear. Even lastly, for all the successes that they have now, their journey is a journey of learning. That’s their key goal. The biggest lesson I’ve learned from my wealth management business is that everyone needs a side hustle. I don’t mind how big your corporate salary is. No job is safe, even if, like me, you’re on a formal fast-track program. More importantly, statistically only 6% of people have enough money to retire at the same standard as they lived before retirement. I have a 94% chance of being right when I say that you don’t have enough money saved for retirement. Trust me when I tell you that it is absolutely devastating to downgrade your life so that decisions like whether to turn the heat on to save money or whether to spend the money on a present for your grandchildren, start to rule your life. Most importantly, by the time you hit 50 you have to start your side hustle. Why? Because it takes about eight years for side hustles to become traction. It takes a quicker amount of time if you’re focusing on full-time, but if it’s a side hustle when you’re in corporate it means that when you retire at 60, if you start at 50, you’ll have something that you enjoy doing, something you’re moving towards, and the depression that is in retirement, which is a huge thing for many people who move into retirement, won’t happen to you. Why? Because you’ll have purpose. You’ll also have a second income stream, which means that you don’t need as much money to retire because you’re not drawing from your savings. For all of you out there who have been where I’ve been over the last seven years, whether you’re realizing the randomness of corporate in its ability to determine your success, or you just feel that you have so much more potential that sits deep inside you that you will ever be able to [inaudible 00:20:32] in the company where you are, I have an idea for you. Otherwise, if you’re passionate about something, if you’ve had something you’re really interested in but you’re doing a job to earn the money to pay the school fees, or even if you just feel you want to be your own boss and have the flexibility to watch your children play sport and then working in the evenings, or if you’re just stuck and want to open your mind to the possibilities out there, overcome some mental blocks and try something different to see what it could be like. Or, if you love what you do but need more money to go on holiday that you want to take the family, or maybe you just don’t have enough money to make ends meet or you know you need extra money to save for your emergency fund or retirement, I have an idea for you. I’m currently pushing a huge fear boundary to produce my first online teaching program. I’ve done a ton of courses on how to build online teaching programs and have a number of training programs that I run face to face, but this is something completely new to me. Because, besides the fear of actually recording it on video and whether it’ll turn out okay or someone will want to do it, my biggest fear is a lack of feedback. You see, I rely heavily on feedback to make my programs really good. The first people that go through any one of the programs that I’ve trained face to face are so important in reshaping these programs from something I think will work to programs that actually work because they meet the people where they’re at. At an online program you don’t get to see people’s reactions or talk to them. I’m building a course that will take you from nothing to being able to sell something online. The technology, the value proposition, the social media, and the sales pages that can take credit card, I’ll teach you all of that. If you’re not fulfilling your dream because the [inaudible 00:22:39] is all too much I understand. Trust me, the [inaudible 00:22:42]. I needed to buy so many courses just to learn to put all the pieces of the technology together. If you’re not stepping out because you don’t have anything to sell or a burning passion, don’t worry. I’ll also show you how you can earn money from selling other people’s stuff. Or, if you’re not taking action because you don’t know what will work I’ll teach you how to test different value propositions and see what works. If you’re not taking the plunge because you’ve had some enormous quote for a very expensive website and eCommerce integration then I’m here to tell you that that’s so old-fashioned. In 30 days you’ll have the whole thing set up from nothing to being abl to sell something. What’s better is that you won’t have to waste the 350,000 [inaudible 00:23:34] or $25,000 that I’ve spent in 18 months setting up Working Women’s Wealth, on technology and on courses, which many of them were actually quite bad investments. You can do it by spending nothing besides the money for this course. The biggest thing about this program is to open your mind. You will not become an instant millionaire. What you will do is learn. You’ll learn that you can do something you never thought you could. You’ll learn that there are infinite possibilities that open up from this one brave step. What I’ve learned through this journey I’ve been on is that you have to step first before the possibility opens up. Why don’t you sign up to be one of my founding partners and take the first step to so many new possibilities, staring on Wednesday the 7th of November, yes, that’s one week away. When you say “But, but, but, but, but,” shh. You can do it. You can do it. What I do know is that you can do it. If I can do it, you can do it. I’m offering the course significantly reduced at $44, but if you give me feedback every single day in any form you choose, be it a voice note, an email, a video, I’ll refund you every cent. Yes, that’s right. You’ll get it for free. Why? Because I truly value learning and I truly value feedback. I want this to be the most awesome course. You’ll also get a private Facebook group with like-minded people, a weekly Q&A with me where I answer all your questions on the Facebook group, and my three day believe program. The practical videos of me showing you how to work the technology, exactly what steps to take so that you can play and press pause whenever you do your program. It’ll be like me sitting right next to you doing it. Some raw, unedited thoughts are also included. Each morning when I got up to build this course I made a video of what it felt like, what I was thinking, and what I hope that you would achieve. You can get to see behind the scenes of this course creation. Truly, there should be no barrier to learning, learning to build your confidence in you and the magical human being you are. I don’t think you can live in this modern day and age, especially if, like me, who’s 43, email wasn’t even invented when I went to university. In this day and age, you need to be able to learn what it takes to set up an online business. You need to be able to go out and do it so that you too can see how easy it is, how possible it is for you to reach the dream that you have for whatever reason it is that you’re wanting to start a side hustle. If you want to be a founding partner, sign up in the show notes on this episode in Workingwomenswealth.com. I look forward to partnering with you on this journey. 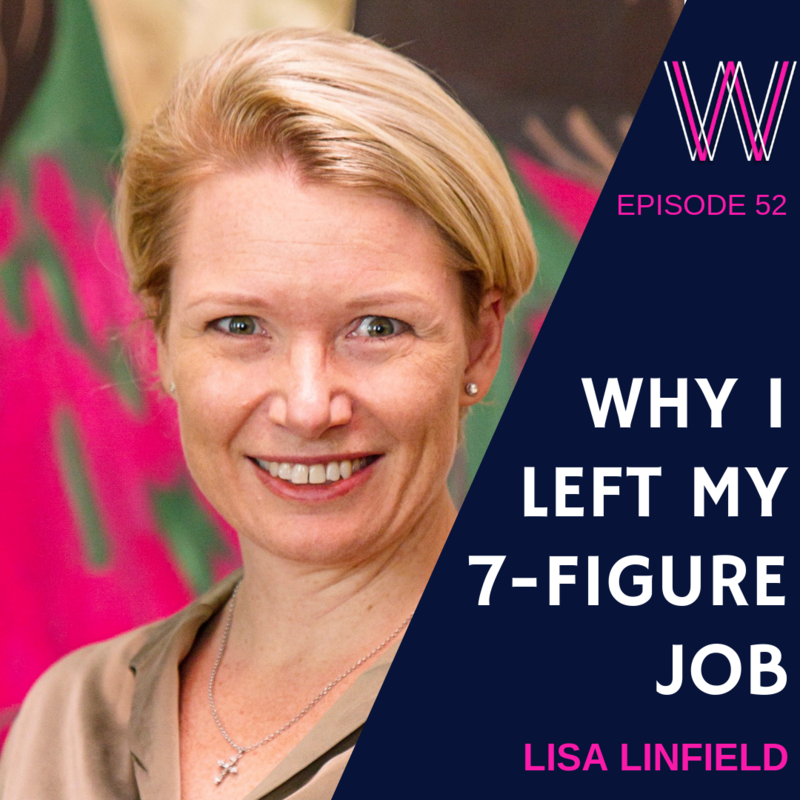 I’m Lisa Linfield, and this is Working Women’s Wealth. Have a great week. Please subscribe to our podcast on iTunes, and leave a rating and review. If you enjoyed this podcast, we suggest listening to How to Leave Your 9 to 5, Build the Ultimate Brand, and Three Ways to Nail Your Business Idea. 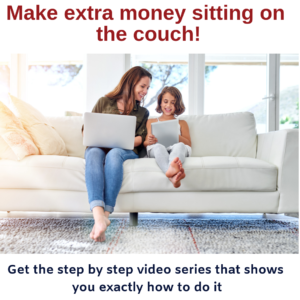 If you are looking for some great ideas to start making money from your couch, listen to Six Ways to Make Money Sitting On The Couch.